Give Your Skin a Gift After The Holidays! The holiday season can be busy: there is party after party, and extravagant meal after extravagant meal. And don’t forget all the champagne, wine, egg nog, sugar cookies, and other treats. Many people worry about gaining weight during this late-fall, early-winter debauchery – but do they worry about their skin? They should! Too much alcohol: You may look a little puffier and pastier than usual. This may also cause fine lines to become more noticeable. Too much meat and cheese: If you’re using “But it’s protein!” as an excuse to have just one more serving, consider this: excess protein can thicken lymphatic fluid. This makes your skin puffy and dull, while increasing the prominence of dark circles. Too many sweets: Sweet treats can exacerbate the signs of aging. A gingerbread man or two won’t hurt, but try to stick to natural sugars from fruit. Too much dairy: You may find that your face is more oily and prone to breakouts if you overindulge in creamy goodies. What’s the solution? Abstaining from all holiday festivities and sticking to water and celery sticks. You can, and more power to you! But there is no reason not to enjoy, as long as you take care of your skin. CHOLLEY has an extensive selection of specially-formulated skin care products that can help: from cleansers and toners to moisturizers and masks, you can easily integrate great skin care into your holiday agenda. And if you slack on your skin care regimen? 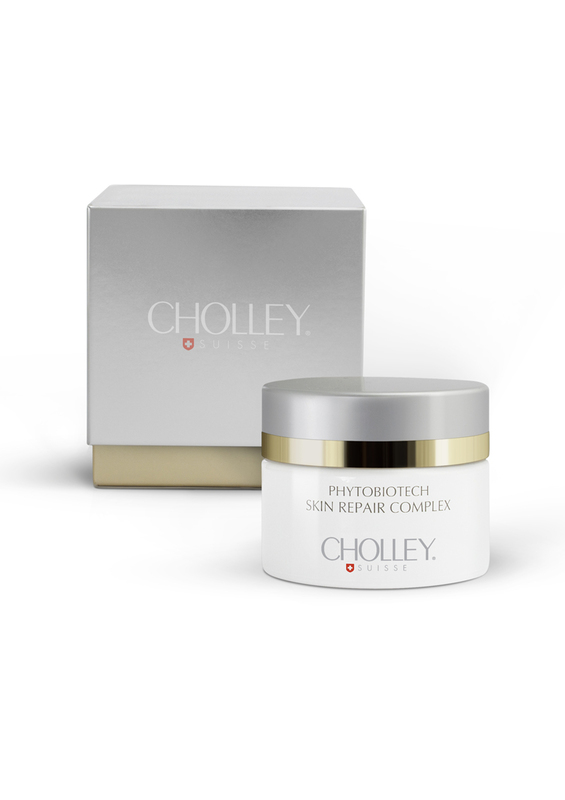 Luckily, you can turn to CHOLLEY PHYTOBIOTECH Skin Repair Complex to restore your skin’s beautiful, energetic glow!